Following the recent drop in sessions in Mousehole, Penzance Neighbourhood Plan group is hosting a Village Meeting in the Solomon Browne Hall between 7pm and 8:30pm on Monday 21st January. The aim of the meeting is to look at the feedback from questionnaires circulated around the village and to hear from Paul residents how they got together to create a vision for the future of their village. All are welcome. Penzance Neighbourhood Plan project set to become blueprint for engaging young people in planning process. Pupils from a Penzance primary school are playing a key role in shaping the future of their town – thanks to an innovative project designed by the Penzance Parish Neighbourhood Plan group which could now be adopted nationally as a blueprint for engaging young people in the planning process. The group has been working hard to develop the draft Neighbourhood Plan over the past three years and is keen to ensure all sectors of the local community have their say. 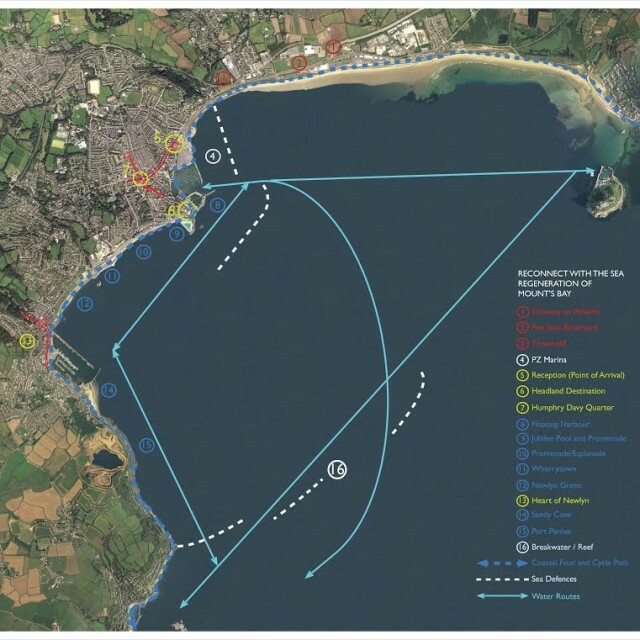 As part of its public consultation earlier this year the group worked with key partners to stage Penzance EXPO 2018 to showcase the emerging policies and objectives and gather feedback from local residents and businesses to inform the next draft of the Plan. As it can be difficult to engage children and young people in the planning process the group developed a special project to give them the chance to share their views and aspirations and explain the kind of Penzance they wanted to see in the future. As well as inviting local secondary and primary schools to attend the Expo event, members of the group worked with Cornwall Council’s Education Business Partnership to develop a special briefing pack to enable schools to work on their ideas back in their classrooms and engage with their local community. 180 young people between the ages of eight and 14 from a number of local schools attended the Expo and are now working on their ideas back in their classrooms. Neighbourhood Plan Steering Group Chair, Susan Stuart is delighted with the positive response to the project. “I was incredibly impressed by the young people who visited the Expo with their schools” she said. “As well as coming up with some very thoughtful suggestions about the need to support homeless people and those individuals and families struggling to make ends meet, they were very clear about the importance of protecting the environment and health and wellbeing. They also wanted to see more facilities and activities provided for young people in the town. One of the schools taking part is Alverton Community Primary School which decided to involve all 15 members of its School Council in the project. After first discussing areas in the community they would like to see improved with their classmates, the youngsters, supported by teacher Claire O’Rourke, presented the top three ideas from each class at the Expo. They then went back to the school to do further work on their ideas, culminating in a presentation to a whole school assembly ( 300 pupils). Ideas put forward by the youngsters included providing new leisure facilities, including a trampoline park, a permanent theme park, an outdoor paddling pool, a skate park for use by younger children and an aquarium to calls for safer pedestrian crossing points and cycle paths, a centre for homeless people, and a dog shelter. Other suggestions included improving the Promenade and Wharf car park area with more cafes and stalls, and more shops in the town centre. The success of the innovative project has now caught the attention of officers at Cornwall Council who are working to find ways to engage young people with the planning process. As a result Susan Stuart , teacher Claire O’Rourke and the enthusiastic pupils from Alverton School were invited to talk about their experience with Professor Peter Krafti, from Birmingham University and senior officers from across the Council. After watching a short film documenting the visit of the School Council to the Expo and their subsequent presentation to the peers at a special assembly, the audience had the opportunity to hear the children put forward their ideas and ask them questions. Following the session, the Neighbourhood Plan group has been asked to provide a copy of the film to the Council so it can be shown as to Councillors as an example of best practice. And what about the views of the youngsters from Alverton Community Primary School on their unexpected stardom?